At The Ultimate Fighter 28 Finale, Kamaru Usman made a statement as to why he deserves a shot at the UFC Welterweight Title. In the main event of the card at The Palms, Usman defeated former UFC lightweight champion Rafael dos Anjos via unanimous decision. 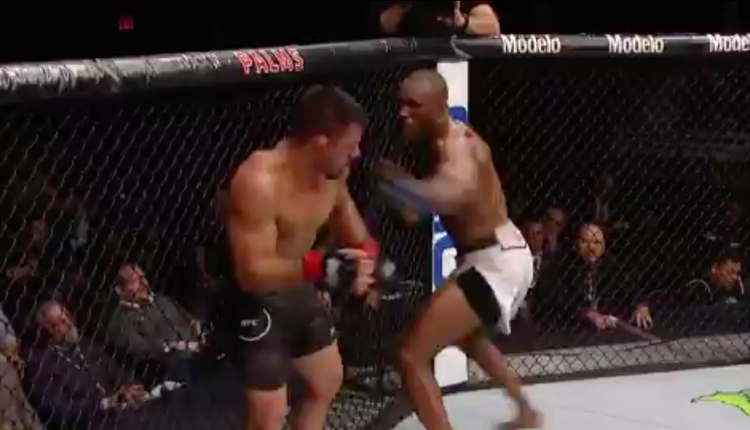 While dos Anjos scored a fair share of shots in the opening round, Usman spent most of it in control, either pressing RDA up against the cage or in top control on the ground., though dos Anjos landed a nice upkick prior to the bell. Usman got the former champion against the cage and down to the mat again in the second, but RDA closed up his guard well and even nearly locked in a kimura, forcing Usman to break from his top game. That second round, however, was the only bright spot for dos Anjos, as Usman proved to be the better-conditioned fighter over the final three rounds. The two exchanged to start the third, but that quickly turned into a battle of cage pressing and transitions, playing into Usman’s favor. Then, in the fourth Usman’s dominance came full force, busting open the former 155-pound champion and landing another strong takedown before throwing heavy elbows and ground-and-pound. 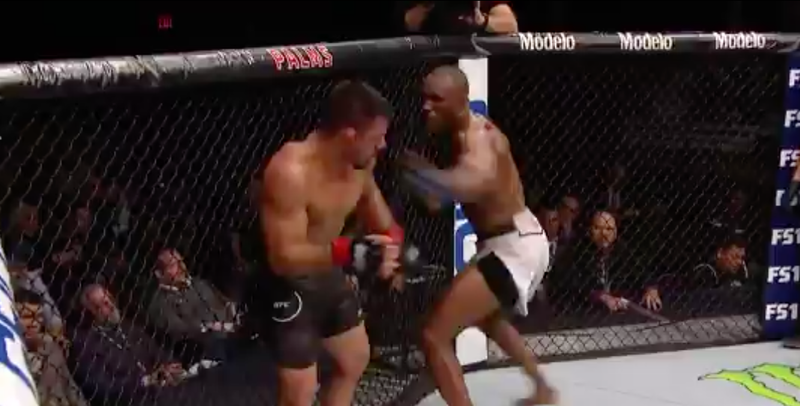 While RDA looked exhausted in the final round, Usman still had energy in the tank, controlling dos Anjos against the cage and on the ground once more and making RDA eat shot after shot. All three judges scored the bout in Usman’s favor, 50-45, 49-46, 48-47. Meanwhile, Juan Espino and Macy Chiasson won The Ultimate Fighter 28 tournaments in heavyweight and women’s featherweight, respectively. Espino defeated Justin Frazier via first-round submission in the co-main event to claim his title, while Chiasson scored a second-round submission over Pannie Kianzad the bout before to win the women’s 145-pound tournament.